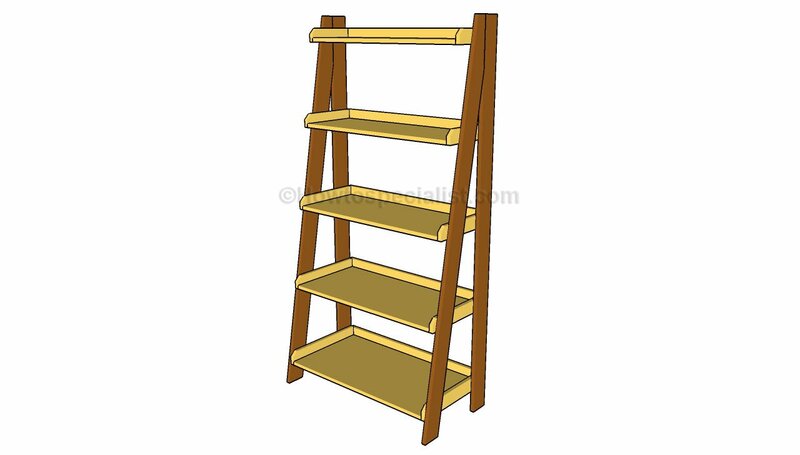 This step by step diy project is about how to build a magazine/fruit rack. If you want to learn more about building beautiful storage baskets, pay attention to the detailed instructions shown in this tutorial. This project is ideal for any kitchen or living room, especially if you like the rustic look. I managed to build this rack with common materials and tools. With as little as 20 $ you can build an unique wooden project. You should always plan everything from the very beginning, in order to prevent costly mistakes and to save time. If this is your first project, you need a friend to assist you while assembling the baskets. Invest in high quality lumber and plywood, as the components will be exposed to bad weather. Protect the components with appropriate paint or stain. It’s that simple to build a magazine rack! I have designed this double wooden basket rack for my kitchen. Initially I wanted to use it for root vegetables and fruits, but after finishing it I see it equally good for magazines or books. The storage bins really look amazing after plying a teak finish. The first step of the project is to build the end pieces for the baskets. Use a 1×6 board to cut the components at the right dimensions. Make 30 degree cuts to both ends of the slats. 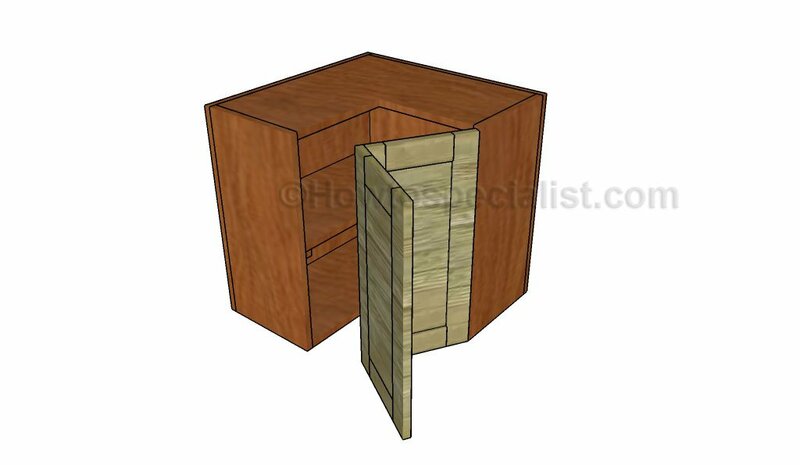 Next, attach the 1/4″ thick strips of wood to the end pieces, as shown in the diagram. Use 3/4″ brad nails and glue to lock the pieces into place. Make sure you space them evenly. Attach the wood strips to the sides. Use 3/4″ brad nails and glue to lock them to the storage bins. Fit the vertical supports to lock the storage bins together. Make sure the storage bins are plumb before inserting the finishing nails. Use a 1/2″ dowel to create the handle. Use 1 1/4″ brad nails to secure the handle into place. This is the easiest way to secure the handle into place. Alternatively, you can use a 1/2″ drill to create shallow holes to the vertical supports. Add glue to lock the handle into place tightly. After assembling the magazine rack, smooth the edges with 120-150 grit sandpaper. Apply a few coats of stain to enhance the look of the wood. First of all, I cut the components to size using my miter saw. I used pine for the end components and 1/4″ oak for the side pieces. I bought oak door trims and cut them to 14″. This was the easiest way for me to make the 1/4″ thick strips of wood. I also liked the rounded side edges. You can use a table saw to adjust the thickness to suit your needs, if you are going to use regular slats. Make sure you smooth the edges thoroughly, before assembling them. Lay the end pieces on a level surface, as shown in the image. Afterwards, add glue to the edges and fir the strips. Insert 3/4″ brad nails to secure the strips to the end components, after making sure the edges are flush. The wood strips are a little wider than 2 1/4″. Fit the middle piece of wood, making sure you leave even gaps on both sides. Use 3/4″ brad nails to secure it into place. Next, I attached the wood strips to the sides of the baskets. Add glue, align the edges and insert the brad nails to lock them into place. Fit the wood strip to the opposite side. Just making sure the basket is symmetrical. It starts to take shape nicely. Fit the remaining wood strips to the sides. Build another basket, in the same manner described above. Next, I attached the 1×3 supports to the bottom basket. Make sure you center the support to the ends before inserting the brad nails. In addition, I added glue to enhance the bond of the components. I rounded the top of the supports with a jigsaw and sandpaper to add character to the magazine/fruit rack. Fit the top basket about 2″ below the top of the vertical supports. Center the support to the ends of the top basket. Add glue and insert 1 1/4″ brad nails to lock them into place. I made the handle out of a 1/2″ dowel. I centered the dowel to the vertical supports and inserted 1 1/4″ nails to secure it into place. It might not be the classiest method, but it sure got the job done. Three brad nails on each side will create strong joints. I used 150 sandpaper to smooth the edges and the end components. I am really pleased with how it turned out. The materials cost me about 20 dollars. It is not bad considering the wood strips are made out of oak. The rack can be used easily for displaying fruits or vegetables or for magazines. It would be also great for a picnic. I hope you enjoyed this this step by step tutorial and you should take a look over the rest of my projects. I would love to hear your feedback and to see your pins, likes and shares. If you build this diy magazine rack don’t forget to send a few pics. Thank you for reading our project about how to build a magazine rack and we recommend you to check out the rest of the projects. 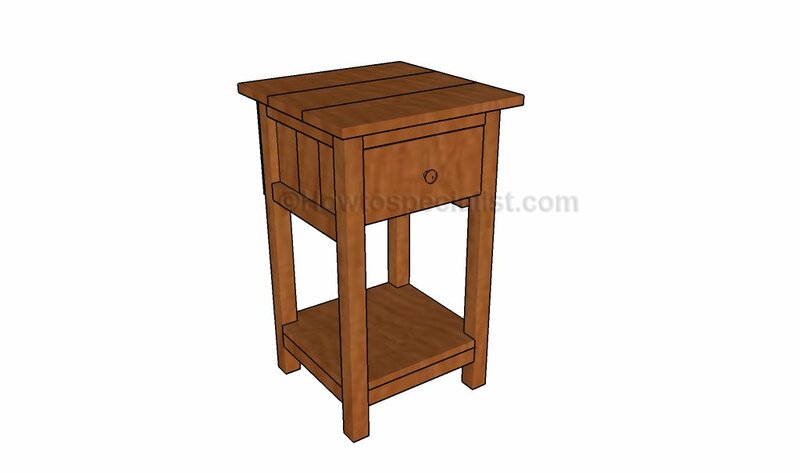 Don’t forget to SHARE and LIKE our projects with your friends, by using the social media widgets, if you want to help us keep adding free woodworking plans.